Looks great with my sink, works well , too. Kraus kitchen accessories provide everyday efficiency with style. 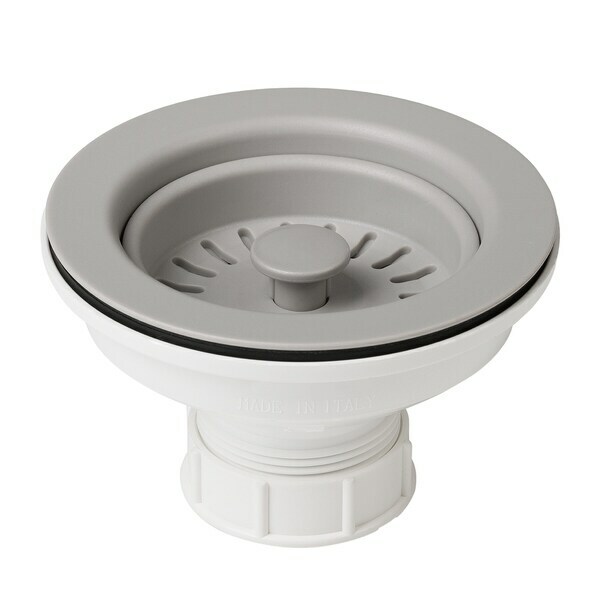 Designed to keep your drainpipe clear, the Kraus color kitchen sink strainer is a perfect finishing touch for your sink. Made of durable ABS plastic, the strainer is removable for easy cleaning, and allows water to flow freely while trapping food particles and debris. Available in multiple colors to match your kitchen sink and complement your décor. Dimensions 5.3 In. X 4.9 In. X 4.1 In. Love the stopper. Match my sink. Did a remodel of my kitchen and thought this would go perfect with the sink. I’m happy I made that decision. It is easy to clean. I love it. Highly recommended. Absolutely perfect color match to our Kraus black sink. These are well made and work flawlessly when plugging the drain. Kraus really makes some great products at a great price. Anxious to see how they hold up! I purchased this to match the kitchen sink I got from Overstock. It works well and I love the black! I’m really happy with the purchase and I would recommend it. I bought this item and ended up having to return it, but only because it wasn’t the right size for my sink. The drains seemed to be great quality and looked very nice. I bought them in another size and am looking forward to getting them installed.